I had missed this movie for the last several weeks. When it came out, it just never fit into the schedule and it was too easy to skip over. However, I had liked the Mel Gibson original, What Women Want and, with this week being a slow one (and a Madea movie to ignore), I decided to finally go to see this gender swap remake starring Taraji P. Henson. Taraji P. Henson played Ali Davis, an agent working for a big firm who keeps getting passed over for partnership. Frustrated at her inability to break the glass ceiling into the boys club at the firm, she becomes determined to sign the hot new basketball player, Jamal Barry (Shame Paul McGhie). In order to sign the young player though, you had to navigate his obnoxious-Lavar Ball-like father, Joe (Tracy Morgan). Meanwhile, Ali met bartender Will (Aldis Hodge) and they started a relationship. Unfortunately, as you would expect in this type of a film, her work put their relationship in jeopardy from her poor choices. This film is quite the mixed bag. It is remarkably predictable and break little to no new ground, but there are a few moments of sweetness and nice character moments among a lot of mean-spirited comedy. Every time I was ready to completely write off the film, it would have a scene that brought me back into the moment. I found Taraji P. Henson to be over-the-top too much. She was too much of a cartoon for most of the movie. The dialogue was extremely weak and did not feel realistic. The humor was awkward at times and downright unfunny at others. All of the men at the agency were utterly sophomoric and idiotic. None of them felt real. They were exaggerated stereotypes that were a waste of time. There were some moments that were funny, but there were not enough to forgive the faults of this movie. Shout out to Erykah Badu, who played the tarot card reading psychic named Sister. She was easily one of the best parts of this film. She was a hoot and was the most original part of the movie. 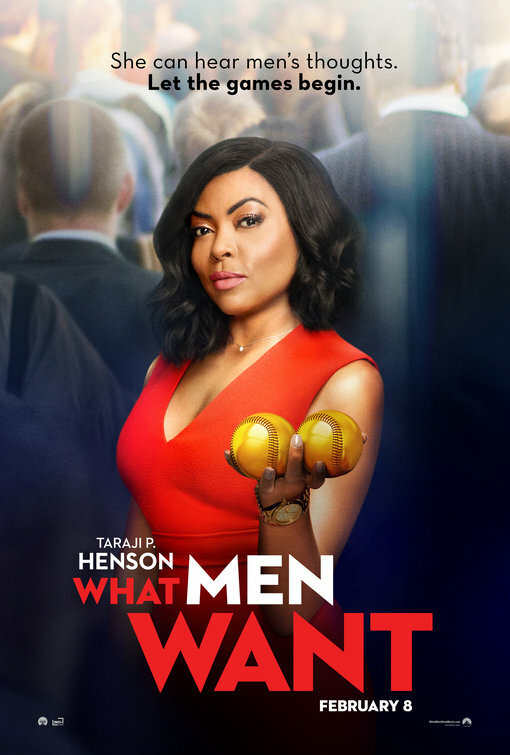 What Men Want was not a terrible movie, though it was too long and could have been made better with some removal of several parts. It is predictable and lacked too much humor, but it did have moments of heart that rescued it from being a complete failure.